Here’s the thing. Before Johnny and I said “I do,” we didn’t ask each other a single thing about finances. I knew Johnny liked to eat frozen burritos because he’d made them for me a time or two. 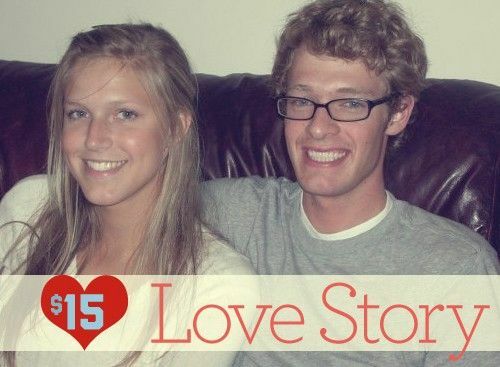 He knew that I had student loan debt because I told him that after he’d already proposed. Because I’m evil. Or maybe I was just embarrassed. And luckily, everything worked out. We were both very (very) young so neither of us had much in the way of financial baggage or make-or-break opinions. A joint checking account seemed like a romantic idea, as did changing my last name. Our naiveté worked in our favor since we were able to learn and grow together. But let’s say that fateful day Johnny and I exchanged phone numbers never happened. Instead, here we are, both closing in on 30, and after swiping right (or is it left?) and getting matched up on Tinder, we’ve been dating for the last several months. We both have our own personal finance blogs, his about keeping a $20 monthly grocery bill (by filling up on Taco Tuesday, of course), and mine on living on a J.Crew-only “budget.” The “L” word has been said, the “M” word has been discussed at length, but so far, he hasn’t put a ring on it. If one or both of you is keeping a budget, you’ll probably say it right here. If you’re not, you’ll probably say something vague like, “Seems like a good idea,” or “I’m not opposed to it,” or, hopefully, “I’ve always wanted to, but I’m not sure where to start.” Now that’s an answer we can work it. Once you’re engaged and a wedding date has been set, what better time to start tracking your spending together as you plan your big day? There doesn’t even necessarily have to be a strict budget in place, but it could provide a look into the type of financial personalities each of you has. Awkward question award. But it’s important to know what you’re getting yourself into. 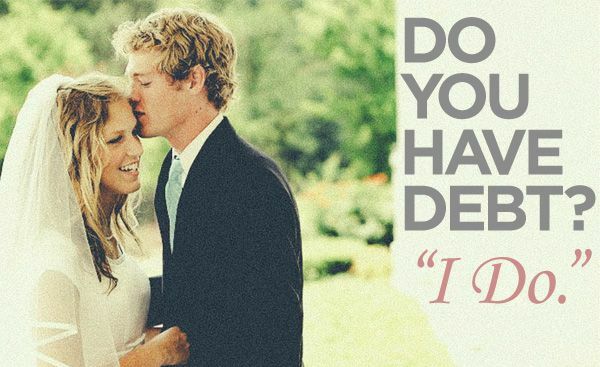 Chances are, your future spouse has already spilled the beans on this one, but in case it’s never come up, it’s a must. There are situations where a spouse might be liable or where jointly owned assets can be seized by a lender. With that on the line, this question is definitely worth getting an answer on. Have you put any money in savings? You don’t need exact figures, but it’s good to have an idea of how much money you’ll be starting your marriage off with. Right after you get back from your fantasy-land honeymoon where money and jobs and weight gain don’t matter, you’ll likely start renting or buy a place together, which both require a significant amount of money up front. You’ll also need a more robust (at least double) emergency fund than what you needed when you were single. How do you imagine finances working once we’re, ya know… married? Hopefully, your question doesn’t actually sound just like that, but it is important to know whether your future spouse intends to share bank accounts, keep all your earnings separate, have each person be in charge of separate bills, etc. Johnny and I chose joint banking, but that’s not the answer for every couple (pssst, it is the answer but we’re just pretending like there are other valid opinions other than our own). Knowing what to expect is what’s most important. What do you want from the future, and how are you going to make it happen? Do you both want kids? Do you want to buy a home? Do you want to retire in Tahiti? Do you want to pay off your student loans in 5 years? Are you contributing to a 401k/Roth IRA, etc.? These are the questions of the future. Finding out how your future plans align will be one of the main keys to financial success. Chances are good that if you’ve made it to wanting to marry each other, you both want a lot of the same things from the future. 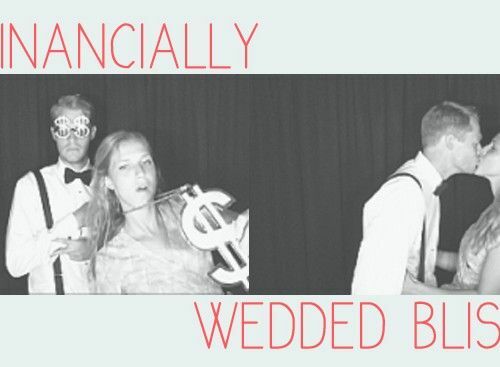 Once you’ve finished up your financial confessional, you’ll be that much closer to walking down the aisle with less financial worry so that you can focus on not tripping/fainting/tossing-the-garter-to-your-younger-brother (gross) on your wedding day. Some of your significant other’s answers might not be what you were hoping for, but you’ll compromise and work as a team to get it figured out. Because, duh, that’s what this whole marriage thing is all about. Those are our questions. What other questions you add to this list? Good points. I would add two questions: 1) What does your credit report look like? Even if they no longer have debt, I would want to know if my future spouse had a poor credit history. This is not to judge and kick them to the curb, but when we’ve rented they’ve always required credit reports for both of us. If this might be an issue as you look for a new place to stay post-nuptials, I would definitely want a heads up. 2) Thoughts and philosophies about kids/parenting and particularly if/when that happens what the work plans for each spouse would be. I felt VERY strongly that I was willing to make WHATEVER financial sacrifice necessary so that my wife could stay at home with our future children full time. Luckily my wife and I were on the same page. My wife worked for a few years after college, but we tried to “ignore” her income for day-to-day living purposes since we knew it would disappear someday. I think that really helped us for when the day finally arrived, and I think it could be more difficult if a couple finds out down the road that they have different ideas about it. Imagine if the husband expected his wife to work whenever possible, and she wanted to stay home; that really changes their future financial picture, and could introduce some awkward feelings and uncomfortable conversations. Great additions. Getting a surprise rejection on an apartment thanks to a partner’s poor credit would be a bad way to start things off. I also love the thoughts/philosophies discussion as it relates to kids, careers, etc. Joanna and I agree on most of these topics, which is fortunate because we definitely didn’t discuss them when we were dating or engaged. That’s awesome. I definitely think there’s some value in struggling and learning together, but I’m pretty sure I would have traded some of those rough patches for a few simple discussions before we got married. That’s awesome that you guys started budgeting from the very start, even if it was a bit naive initially. I am sure if I saw our very first budget, I’d have a good laugh. That’s the beauty of budgeting… each month you get better and better! As my students would say, It would be an ‘epic fail’ for me. We didn’t ask any questions. We knew almost nothing about each other (or ourselves) financially. It certainly added to the stress level in our lives. I hear ya! Finances were the last thing on my mind when it came to getting married. Getting married is enough to think about without adding finances into the picture! Thanks for this post! My fiance and I have been living together for a few years so we mostly know each other’s financial tendencies, but you definitely brought up some questions we need to discuss (like if we’re going to do joint checking). I”ll be sharing this post with him! Glad to hear it, Alicia! I wish I’d thought about even one of these things before Johnny and I got married. It sounds like you two will be financially ready when the wedding bells start ringing! I believe strongly in premarital counseling. I also believe strongly that part of that should be a visit to a financial planner/counselor. Ideally, a couple would know absolutely everything about each other’s finances before they got married. 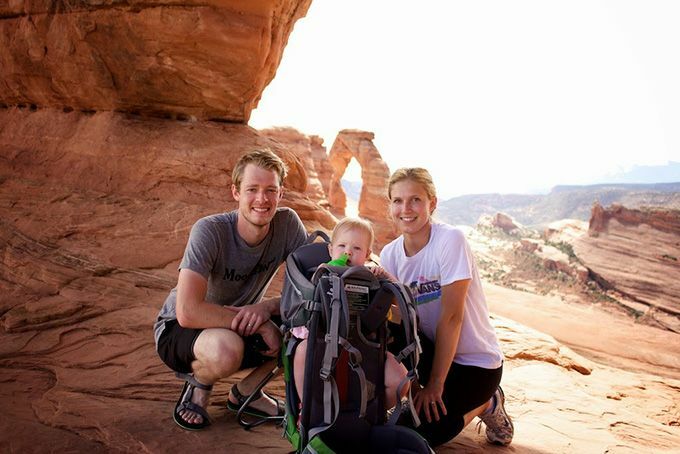 Wouldn’t it be great if this was a normal part of your pre-wedding planning? When you consider that most marriages break up over finances, it seems pretty shortsighted NOT to do this. That said, we did not do it this way, mostly cause we got married at 22 and we were both broke and pretty clueless at the time. Somehow, everything worked out, though it certainly would have been better if we knew what the heck we were doing back then. Totally. I love that advice, Tarynkay. It should be a part of wedding planning since it’s such a huge source of problems after the big day. We got married young, too, which despite being clueless, meant we grew together. Sounds like the same happened for you guys! This post speaks to me! I’m 29. single, debt-free, and in the dating game…however, not Tinder, but OK Cupid, haha. Tinder scares me just by judging people by picture only! Anyway! Finances is one of the areas that make me a bit nervous about dating (and in the search for “the one.”). I really want to meet someone debt-free, smart with investing, saving for retirement, saving (or already owning) to own a home…basically, someone similarly minded with finances. One of my coworkers is a retired state police officer and his ex-wife gets a portion of his pension every.single.month despite her being remarried and such. 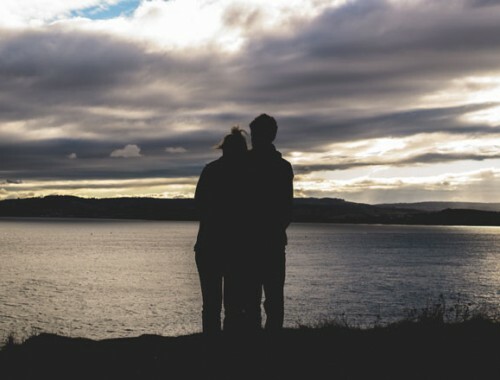 It scares me to think of my retirement being vulnerable someday possibly and being paid out to anyone other than myself or my current spouse…I used to think pre-nups were terrible but I would really truly consider one in the future to protect assets…still seems unromantic, but….ah, that’s a tough one! HA! I only know about Tinder because I have younger, single siblings who are much more hip than I. I’d be wary of it, too! Once you’re a bit more established in your career and finances, I don’t think it’s a bad idea to consider a pre-nup. If you have concerns before the big day that are making you get a pre-nup, that’s probably a red flag right there, and maybe you should reconsider marrying that person. But if you’re just doing it to be extra responsible and not because of any character flaws in that future husband, I say go for it. On the topic of weddings, I’m curious, how did you and Johnny budget for your wedding? I’d love to see a post on this. I would do a post if there were anything to post about! Honestly, our wedding was super, super low budget and super low key. If I could do it over again, I probably would have spent more on some things actually! We didn’t have much say over many of the decisions, and our parents covered most of it. Way to go! Not just before getting married, but before getting engaged?! Talk about some awesome communication skills between the two of you. Well guys we pretty well followed the same trend of discussion as you did when we got married (at 23). We also, through our church, attended a marriage counselling course a year before we got married where a lot of various topics (financial and otherwise) were discussed. That all said, I guess one of other item that we decided on was which one of us would take the prime responsibility for looking after our financial affairs (paying the bills, determining what we should be doing with our money, setting up our monthly budget and monitoring it, etc). I took on this role but made sure to involve my wife in every item so that she could handle things if I was (for some unfortunate reason) unable to. Too often in marriages, one spouse controls things but the other spouse (usually the wife) remains clueless as to the details. That’s a disaster just waiting to happen. It’s a team thing, this marriage stuff! Oh Rob, your post made me laugh. Maybe I come from an especially matriachal family but my mum has always controlled family finances, my mother in law is the same, my aunt, my female cousin… all are the ones dealing with family money. My Grandad would hand his paypacket unopened to my Grandma. You are right that it’s a team thing though. As their banking and bills are now all online my Dad has had to learn how to log in and check things in case anything were to happen to my Mum. We couldn’t go through the paperwork in the same way as in the past. One of my sisters is getting married at the weekend, I was going to forward this to her but they’ve already covered these discussions (she’ll mainly control finances day to day, cos he’s a spender and is going back to college, but joint decisions on aims etc). My other sister recently seperated and I think her husbands refusal to stick to joint budgets and ‘I earn more so can spend more’ attitudes impacted this. As for me and my partner, we make joint plans and I do the day to day keeping on track – I have a greater love of maths and spreadsheets! That’s a good point. I’ve seen many marriages where one spouse is clueless, and it never works well that way. Johnny pays off most of our bills and tracks our spending at the end of the month, while I manage most of the day-to-day stuff, like groceries and other discretionary expenses. Also, keeping an itemized budget that syncs on both of our phones helps us both stay aware! Well Rachel, just to put things in perspective, I know full well that it’s not always the man who calls the “financial shots” in a marriage. My wife’s mom (now 94) was married for 65 years, raised 8 kids, and was the one who controlled her family’s finances, with my FIL regularly handing over his pay to her to manage. Through thick and thin, that lady did a pretty good job of it, if I do say so! I guess the fact that they both came through the Depression and were both savers rather than spenders kinda helped the cause a tad.